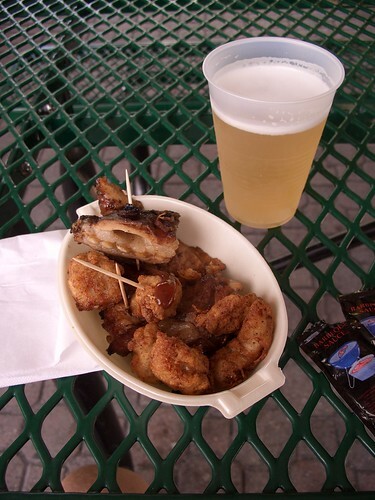 Gator ribs n’ nuggets, originally uploaded by Eric Jeschke. Two today from Orlando, Florida. Home of Disney World, Gatorland, endless strip malls and housing developments, pine trees and swamp. The ribs were better than the nuggets!